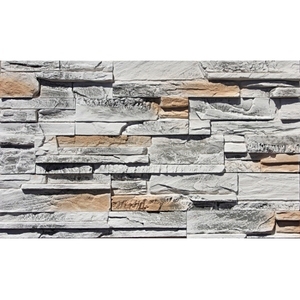 Landscaping decorative wall tiles black rusty culture slate stacked stone panels Description Information: ( If you need more information,please contact us ! Use Precaution: 1. They are not appropriate for a use for the dishwasher and microware ovens; 2. Prior to the first use, we advise to wash carefully the product with dishes washing liquid and a sponge, then rinse and wipe it ; 3. Do not use any aggressive cleaning materials, neither an abrasive sponage to avoid damaging the product. This dinner plate was made with great care and hand-crafted , therefore, some defects maybe found ; Contact details: Tel:86-0792-8265349 Mobile:86-0-18779208795 Fax:86-0792-8265349 Xingzi county Ouhai Stone Factory Address:Jiaotong Village.Bailu Town. 4)Packing: Export standard, Suitable for long-distance delivery 5)Used for inside and outside paving,wall decorations etc, 6)Delivery Time: 15-20 days Since confirming orders. (6)Shipping Service We can arrange transportations for you,or you can choose the one you like,Timely and delivery is our service tent. (7) Main Markets European,American and Oceania,Australian,Middle-East ect Sun Rising warmly welcomes your enquiry. We supply range of products from Granite, Marble, Sandstone, Slate and Quartzite from home and abroad. 2. What is your delievery time9 The time of delivery is four weeks after we receive the deposit. 4. What is the location of your company9 Our company is located in the biggest stone trade city Xiamen, Fujian, China. 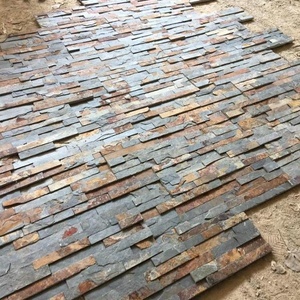 Decorative rusty ledge culture slate stone Culture slate, slate ledge stone , slate stack stone , slate walling panel , wall slate panel , slate culture stone Slate is with genuine EN12326 certificate , with best character,no fade,good for resident and commercial company . Test Remark water absorption Code A1 forst resistance PASSED 100times of cycling test thermal shock resistance Code T1 Features and specifications: shape Z shape,linea shape color black,rusty,green,grey,mutilcolor size(cm) 60*15,55*15,35*9cm etc thickness(cm) 1-2,. 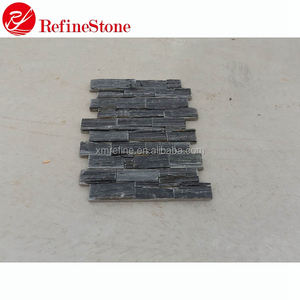 Delivery time: Within 2 weeks /depends on the order We produce slate dinner plate,slate tray,slate tablemat,slate placemat,slate board,slate coaster ,slate cheese board,slate stoneware,slate serving plate,slate cananpe tray. 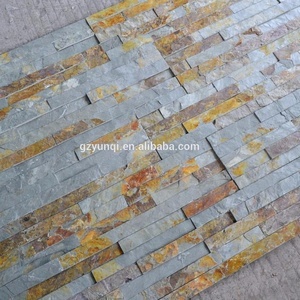 3) Materials Slate, Sand Stone, Quartzite. 5) Processing Mode Hand Split, Machine cut to size, Be glued together, Waterproof. 6) Surface Finish Flat surface, Rock face, Cleft face, Rough face, Mushroom face. 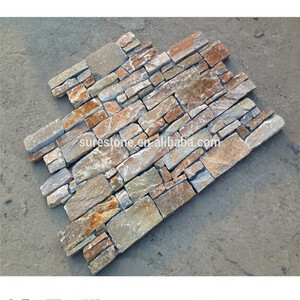 Alibaba.com offers 8,597 cultured stone panel products. 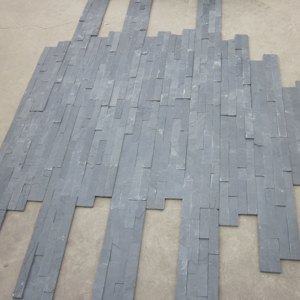 About 21% of these are slate, 14% are artificial stone, and 2% are sauna rooms. A wide variety of cultured stone panel options are available to you, such as free samples, paid samples. 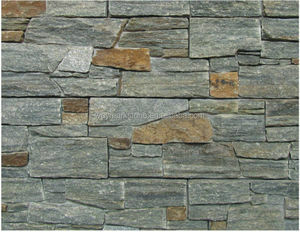 There are 8,597 cultured stone panel suppliers, mainly located in Asia. 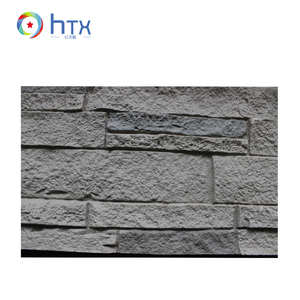 The top supplying country is China (Mainland), which supply 100% of cultured stone panel respectively. 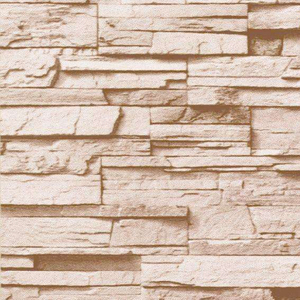 Cultured stone panel products are most popular in North America, Mid East, and Western Europe. You can ensure product safety by selecting from certified suppliers, including 1,006 with Other, 981 with ISO9001, and 69 with ISO14001 certification.